A wildly unpredictable comedian who wore the fact that he had banned from more clubs than anywhere else as a badge of honour. He suffered a heart attack and collapsed on stage in 2019 during a comedy show in Bicester. Sorry. 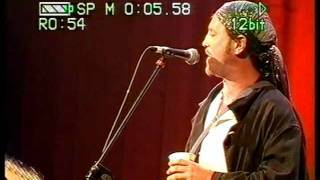 We have no listings of forthcoming performances by Ian Cognito. We do not currently hold contact details for Ian Cognito's agent. If you are a comic or agent wanting your details to appear on Chortle, click here.